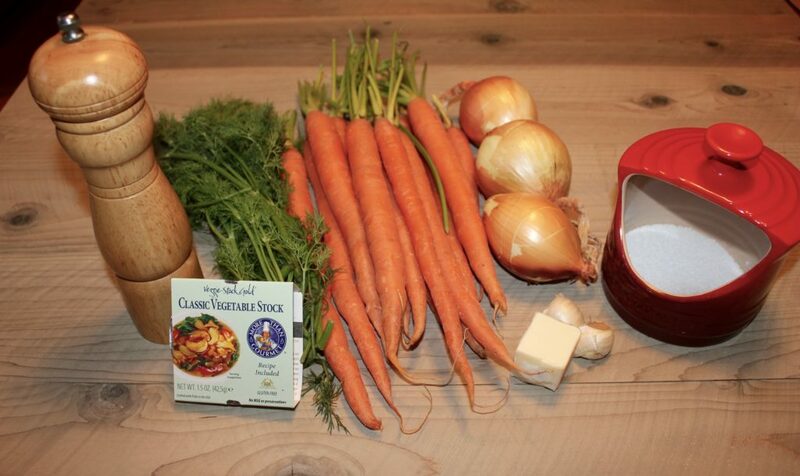 I’m starting the New Year with a recipe for Carrot Dill Soup. It’s light, gluten free and vegan if you substitute oil for butter. I prefer fresh carrots with the stems still attached as opposed to bagged carrots. They have a sweeter taste than the whole carrots in a bag, The mini carrots, I don’t care for at all. I don’t find them to test carroty; I keep them on hand and those little mini carrots I use or dog treats, which she loves! The ingredients are simple, oil or butter, onions, garlic, carrots, stock, salt, pepper, and dill. Use either fresh or dried dill, I’ve provided measurements for both. If you use dried dill, add with the carrots and stock. Fresh dill add after pureeing. 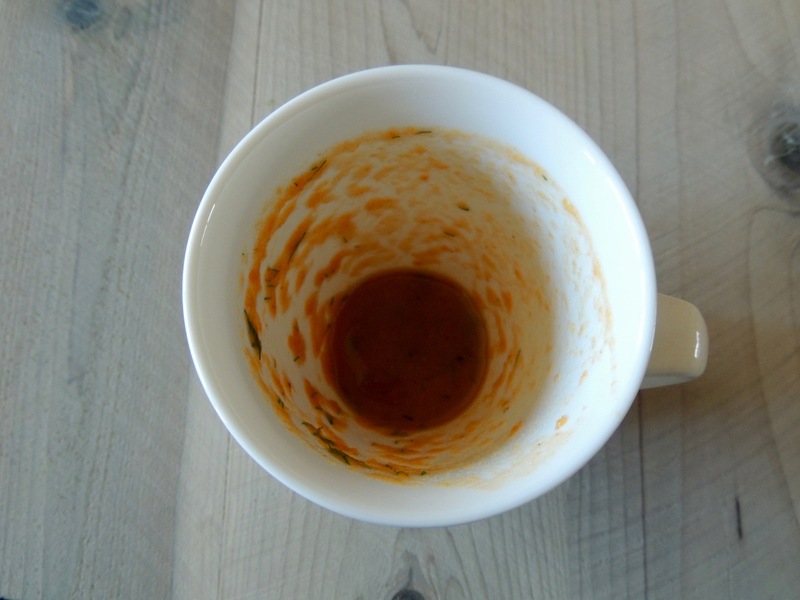 The soup is great for lunch in a mug or as a simple starter for dinner. It whips up in no time and freezes well. The holidays are over and it’s been hectic from Thanksgiving through this week with the shopping, cooking, wrapping presents, cooking, decorating the house, cooking and more cooking and finally pulling everything back together again. 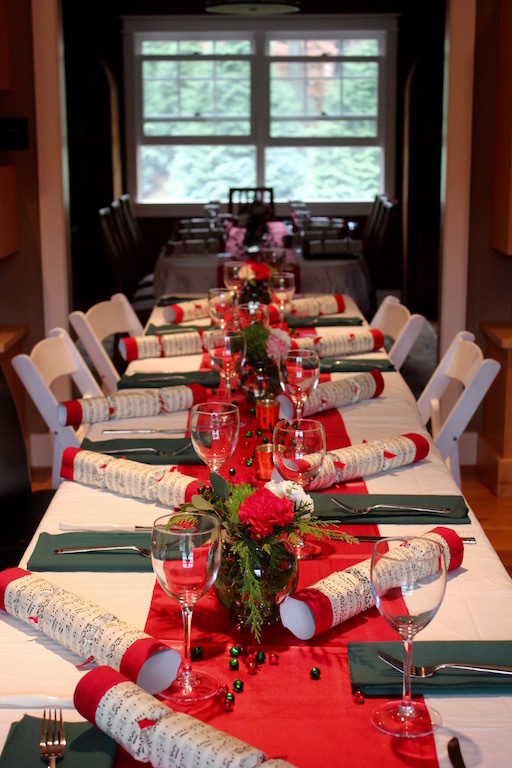 It was our first Christmas with my parent’s staying home in Rochester. We managed better (emotionally) than I expected, but we missed them. The decorations always come down right after Christmas. 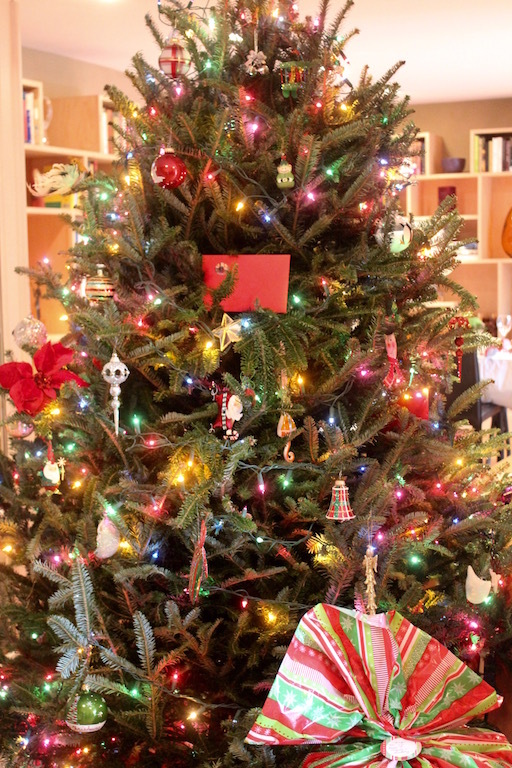 I follow my mother’s rule – never bring in the New Year with last year’s Christmas tree. We used to have a contest years ago with our neighbors across the street. The first one who got the tree down on 12/26 threw it on the other’s lawn. One year my next door neighbor asked if there was a problem between us, she had seen Eric throw our tree on the Babbitt’s lawn! Company is gone, laundry is caught up and I’ve begun to get ready for 2016. I cleared out all the 2015 financial files and set them up for 2016 and did the 2016 budget. The tax file is set up and awaiting all those forms and schedules that will arrive in the mail shortly. Ugh!!! This is the time of year I like to tackle the kitchen cupboards. I managed to get them all emptied out, washed and in some cases rearranged. Strange things happen, though and I can’t find some tools. In particular, my bench scraper and that little flat rubber for opening jars are missing. 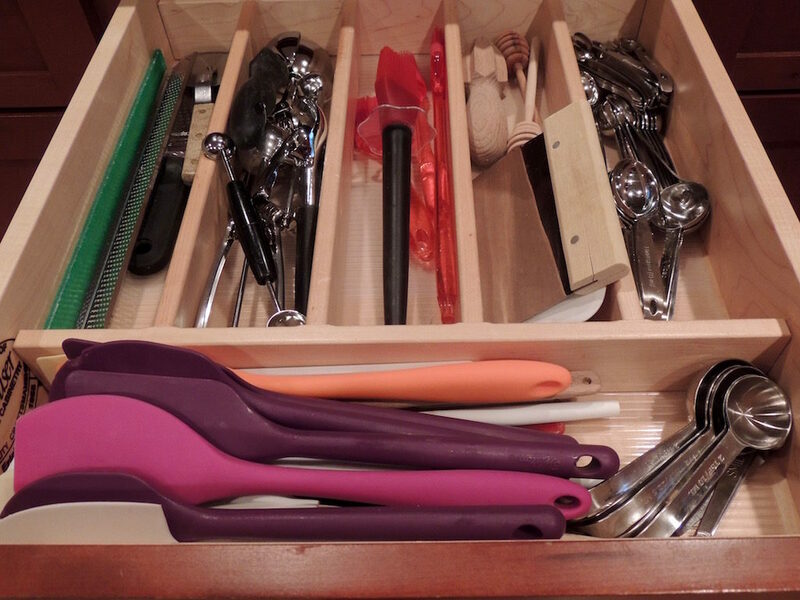 I know they’re not here, because I’ve been through every cupboard and drawer! A trip to Bed Bath and Beyond is in order, along with a trip to K-Mart to stock up on paper goods and cleaning supplies – another Ugh!!! 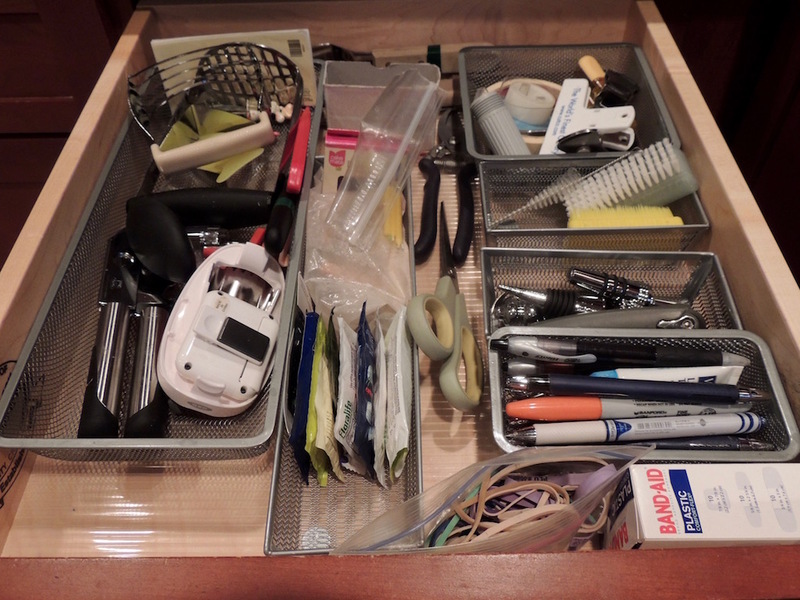 Even the miscellaneous/junk drawer looks good! Things are organized and I’m ready to get back to my normal routine. Claire came back up again this week for a few days . She starts a new job Tuesday and will get busy again, so it was lovely to have that one-on-one time with her – just Mom and her oldest baby hanging together! Wishing everyone a healthy, happy and prosperous New Year – Happy 2016! This is a light soup that’s gluten-free and dairy-free (use oil). It whips up in no time and freezes well. Melt the butter in a large saucepan over medium heat. Stir in the onions and garlic; cover and sweet for 5 minutes. Add the carrots, stock/water, salt and pepper. Bring to a boil and then lower the heat a bit to a gentle boil. Continue cooking until vegetables are very soft, about 30 minutes; the smaller the pieces the shorter the cooking time. Let the soup cool a bit; then puree in a food processor fitted with the blade attachment, a blender or with an immersion blender until smooth. Stir in the dill and adjust seasoning as needed.